A recent study indicates that big data and business analytics will grow from nearly $122 billion in 2015 to more than $187 billion in 2019. That’s a 50 percent increase over the five-year forecast period. The bottom line is everyone wants data on everything all the time, but collecting and analyzing this data isn't effective unless done correctly. What the statistics don’t show is how to home in on critical analysis tools, identify which data is important and which less so, and cut through the noise of information overload. 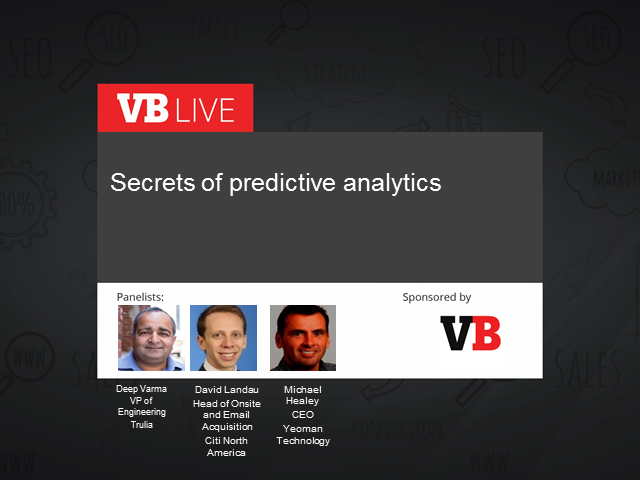 Join experts from Trulia and Citi as they dissect the merits and secrets of predictive analytics. * Determine which data points are most effectively aligned with your business purposes.